Curiosity killed the cat? Or something like that as the saying goes. Everywhere I go, people are SUPER curious about real estate. They love to ask questions, they are intrigued, they get excited. You know why? Because real estate is exciting. I know, I know……..I am biased when I say it. But, the bottom line is, growing your money and increasing your wealth is exciting. Bottom line! Now that I’ve established that most people are curious and excited about real estate, I’d like to mention that only a fraction of them ever take action and purchase a property. Many of them are brilliant at what they do, have analytical minds and can understand the concept and the numbers clearly. When we talk, they see the benefits of real estate. It makes sense to them that purchasing property is one of the greatest investments they can make. So what holds them back? I have heard it described as, “Analysis Paralysis” – in a nutshell, wiki defines this as over analyzing something so much that it basically prevents you from taking action. It is all the what if’s that people think of. Here are the most common questions posed by Canadian real estate investing beginners. What if the market crashes and my property goes down in value? What if I can’t find a tenant and my property stays vacant? What if I get a tenant who completely destroys my property? What if I need my money back and can’t sell my property? Especially with the currently market, I believe that the greatest risk Canadian real estate investing beginners can make is to do nothing. The longer one waits to get into the market, the tougher it gets to enter the market. Learning is a process, and the quickest and easiest way to learn is to make mistakes and rebound from them as quickly as possible. 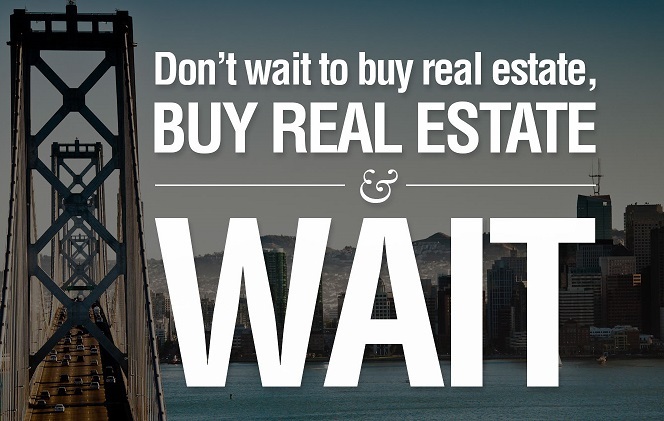 There is quote in the real estate industry that goes “Do not wait to invest in real estate, invest in real estate and wait.” I encourage you to take action today!